Happy holidays and peace in the coming year! Elizabeth Warren gave a great speech calling out Citigroup and the general issue of the political power of mega corporations. It’s just 10 minutes and very worth listening to. 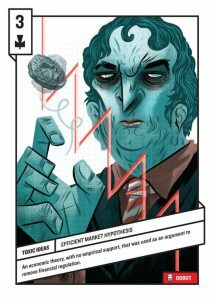 – The links between Citigroup and Government run deep. – The derivatives rule isn’t the only bad stuff in the budget. U.S. Wealth Gap Hits Record High. Reported by PEW Research Center and Huffington Post. Alas, we hit new records every year, but it is still worth noting — and doing something to reverse it. What about a guaranteed basic income? US Declares Bank and Auto Bailouts Over and ProfitableThey are wrong on both counts. 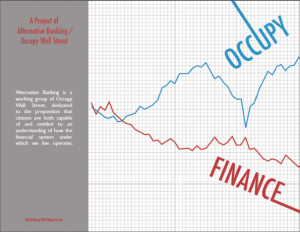 Until we write an updated rebuttal, Chapter 2 of Occupy Finance will do. NYCHA to Sell Stake in Public Housing to Private Developers. Rumor has it that Tamir will discuss this and similar travesties at Alternative Banking in January. How Wall Street Bent Steel Not to over-glamorize the past, but companies once cared about their employees, customers, community and were not all about ‘shareholder value”. When Corporations Sue Governments. We expect there will be a push for dramatic expansion of corporate power with Fast Track and TPP in January. U.S. Lowers One Hurdle to Obtaining a Mortgage. This is good for realtors, not so clear they are doing home buyers any favors. While Dodd-Frank was woefully inadequate, it did do some good things. There is an effort to sneak through the rollback of that and defund the CFTC. Note that the CFTC (Commodity Futures Trading Commission) is supposed to be overseeing the multi-trillion dollar swaps market. Its current budget already makes this impossible but Congress is working to reduce it further (see above). When they inevitably fail, it will of course be the CFTCs fault. Cop Mistakes Pill Bottle for Gun and Another Black Man Dies Press coverage of these atrocities seems to be improving. I guess that’s progress of a sort.